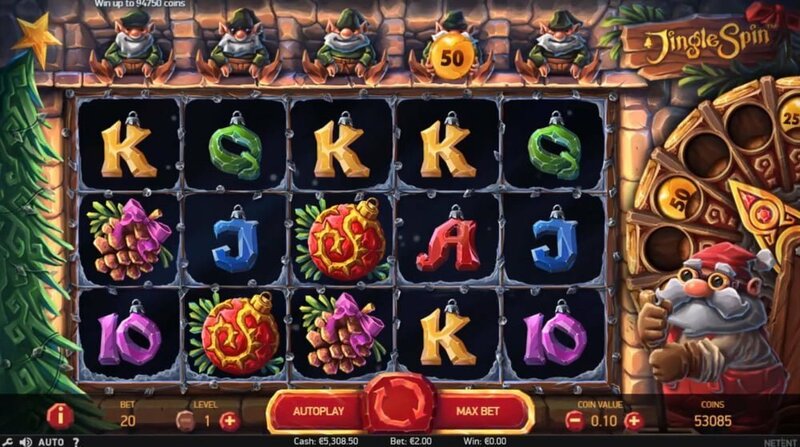 Jingle Spins is a low variance classic Christmas themed Net Entertainment casino slot with 9 paylines, 5 reels and 3 rows with suitably high-end visuals. NetEnt blends in the same mechanic within the framework of its previous slots releases. The jackpot on offer is 1,500 coins on a single spin (non-progressive). It’s not much given that it focuses more on entertainment rather than offering players a trunk load of cash, after all it is the feast of season! Pertaining to its in-play bonus rounds it has a re-triggerable free spins feature triggered by 3 or more scatters that rewards you with 9, 16 to 20 free spins. The game is playable on mobile phones and PC desktops which includes free credits as well. Playing the slots for free gives you an idea how many spins is required to trigger a bonus round, the payouts it gives at different coin ranges and which symbol/s pay the top cash prizes. The level of customization NetEnt provides players with allows them to explore and uncover the riches of Jingle Spins at their own pace. The key ingredient of this 3D video slot is its free spins, each free spin is augmented by wilds that boost payline wins. Unlike Viking which it rolled out earlier this year (October 2018) the vendor doesn’t provide us with something new and compelling. Symbols that appear on the reels in Jingle Spins are Santa Claus (wild), the scatter, elves (high paying symbols), candy-shaped playing cards (10 to Ace) and Rudolph the Reindeer. The jackpot of 1,500 coins is won when 5 wilds at the maximum wager pitches any position on the reels. NetEnt has not stated the RTP (average return to player percentage) of the slots yet, given that the volatility is rather low we’ll go out on a limb by saying that it’s above the 96.2% mark. As you play you can adjust the coin range, graphics and you can mute the audio track. High rollers can use the Max Bet button if they’re chasing the top cash prize of a 1,500 coins. Santa Claus of Father Christmas as he’s known in certain parts of the world is the wild, winning combinations are completed by him when he substitutes adjacent symbols bar the scatter. The wild also pops up during the free spins. The free spins bonus is initiated when 3 or more scatters appear any position on the reels during the base game. The amount of free spins you’ll receive are tied into the scatters, for example, when 3 scatters pitch you’ll get 9 free spins, for 4 you’ll get 16 free spins and 5 scatters awards you a neat 20 free spins. When the Santa Clause wild appears with a free spin it boosts all wins plus the free spins feature can be re-triggered should another 2 or more scatters appear. 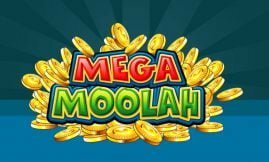 Essentially you can win as much as 40 free spins. Let’s get straight to the point. 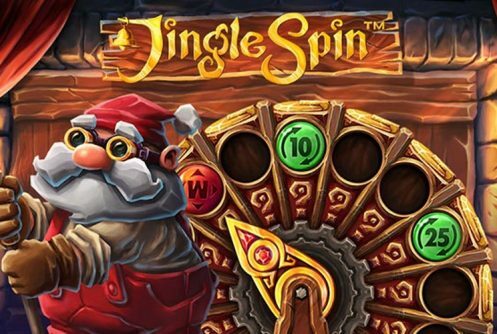 Jingle Spins is utterly grinding and it’s not a unique Christmas themed slots since NetEnt borrows a lot of the same features from similar releases. 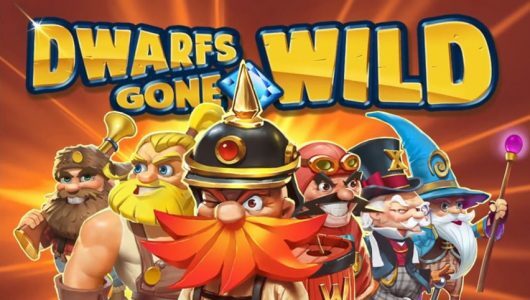 The game draws heavily from its re-triggerable free spins feature (awards up to 40 free spins with wilds) and impressive HD visuals. Make no mistake it’s not a bad slots per se it’s just that it has the same aesthetic style and mechanic which makes Jingle Spins nothing more than a beautiful slog. Also, the jackpot up for grabs is not life-changing which is geared mostly for players looking for a bit of fun. Did NetEnt send a lot of goodies down the chimney with this release? Sorry to say this, nope! Frequently asked questions Jingle Spins slots? How would we rate base game wins? Because it’s a low variance slots expect wins of 5x to 15x your stake. Don’t bank on payouts of 30x your stake although it pays often wins are disappointingly small. 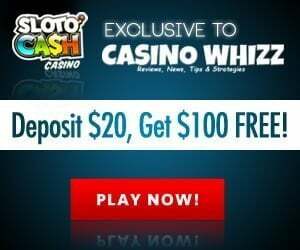 How many spins must I make before the free spins feature is played? 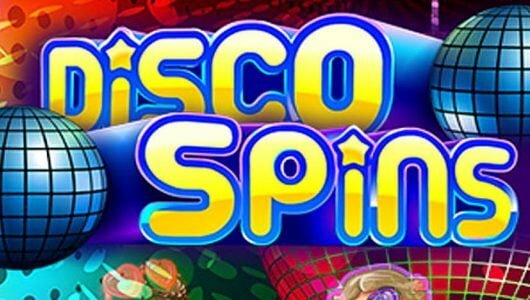 Expect to trigger the free spins within 35 to 50 spins. Free spin wins are boosted by wilds which doubles all payouts and the feature can be re-triggered. The biggest cash prize is won when you land 5 wilds (Santa Clause), if you hit them during the free spins you’ll win 1,500 coins (jackpot). Where can I play Jingle Spins? 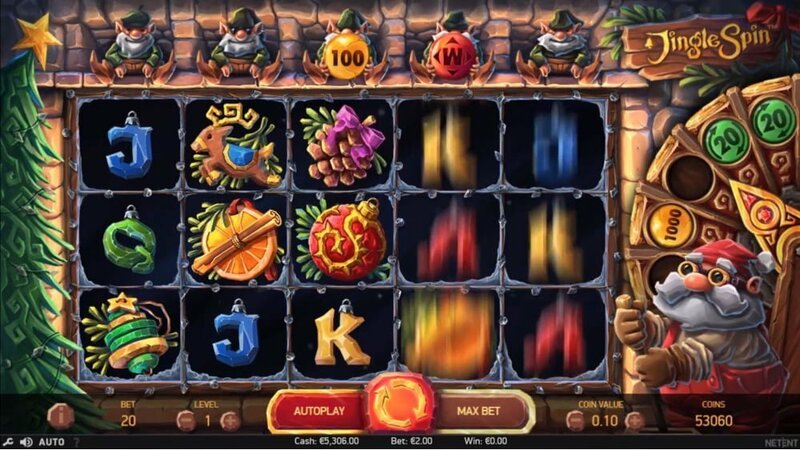 Jingle Spins can be played at all our leading NetEnt online casinos. First time depositors qualify for a match bonus while regular players receive cash back on their previous day/week or month’s losses. Every time you play a slots you earn comps on it that you can exchange once you accrued a certain amount. 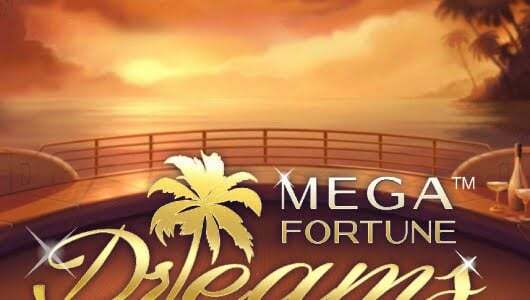 VIPs get special treatment such as reload bonuses, special bonuses with lower wagering restrictions, birthday gifts, a dedicated VIP manager, withdrawals are cleared at a faster rate, free spins on the newest slot releases and larger amounts of cash can be withdrawn.